Looking for long bike rides, treks, and early sunset views? Amidst the natural rocks and greenery of Khajaguda Hills is an ideal place to spend them at. Caught up with a lot of work and unable to get outside the city for a quick vacay? 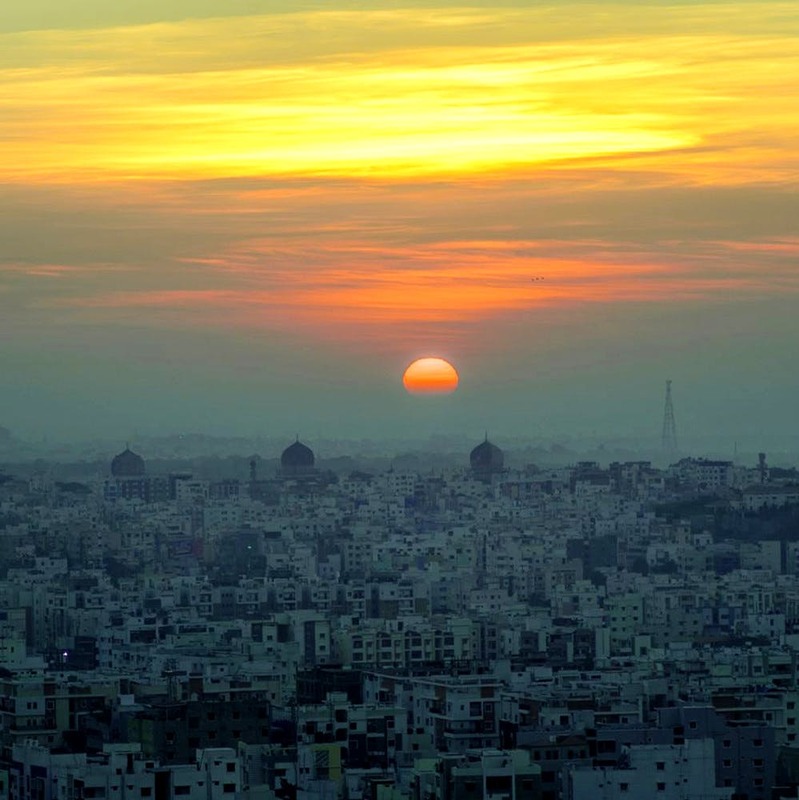 You can still enjoy some pleasant time at Khajaguda Hills, just three kilometres away from Hitech City. Natural rock formations, boulders, and peacocks in the sight are a few things that define the hills. There's a dargah on top, and watching a sunrise/sunset here is not to be missed. There's a fairly easy trek to get to the top, but there are no well laid out stairs like in Moula Ali Hill. In fact, carrying a pair of gloves is a great idea if you don't want to get your hands dirty getting on those massive boulders. Apart from trekking, indulge in activities like rappelling and rock climbing. Photographers, get here to pull out those drones and get some iconic shots of the ever famous rocks of our city. Several meet-up groups conduct these treks, but we say be a badass and go by yourself (or with your squad) and cherish the golden moments.